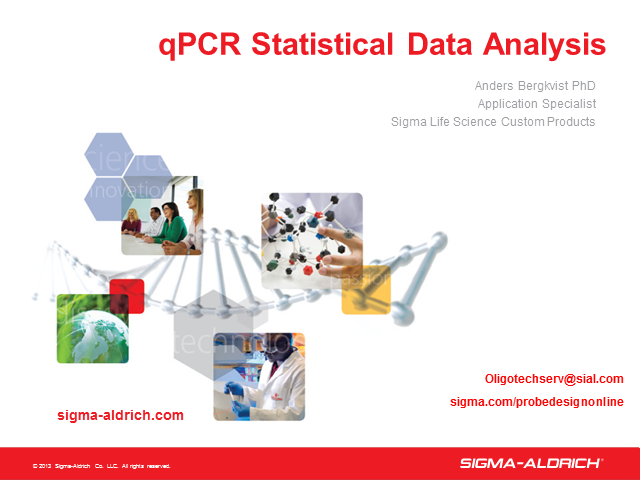 Statistical data analysis is commonly applied to three different types of qPCR data: absolute quantification, relative quantification and expression profiling. Characterization of variability in the data is important both as an estimate of the data reliability as well as an estimate of the tolerance levels of scientific conclusions. Researchers go through a series of methods to minimize technical variability to arrive at scientific results with high precision, while at the same time maximizing the natural biological variability with the aim to characterize that as fully as possible. This presentation illustrates how reagent and sample quality as well as correct application of methods help researchers and technicians arrive at high quality scientific results and conclusions.